Welcome to IMI - International Machining Inc.
IMI machines quality. It's as simple as that. Use the right tool for the job. Make IMI your vendor of choice. Satisfied customers like you mean everything to us. We work 'round the clock to meet your needs. 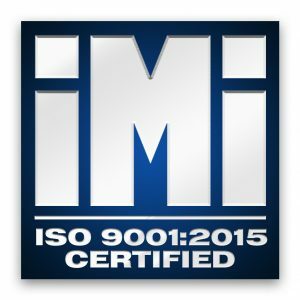 Our entire company lives up to our ISO 9001:2008 Certification. Our high standards of output intend to impress. For over 30 years, International Machining Inc. has served customers from coast to coast and beyond. Our specialized equipment and advanced technologies maintain a high level of precision and efficiency. Discover The IMI Advantage known by small businesses and Fortune 500 firms alike. Let IMI give form and substance to your next idea.